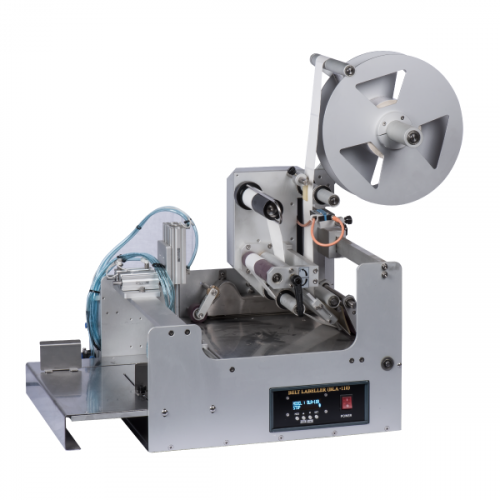 Automatic Wipe-On Label Applicator for heavy pouches and bags. Applies the label to the top surface of the product. Has built in adjustable speed, high friction side conveyor. Touch Panel controls includes dwell setting for exact label placement on the package. Non-contact technologically advanced controls and label sensors. 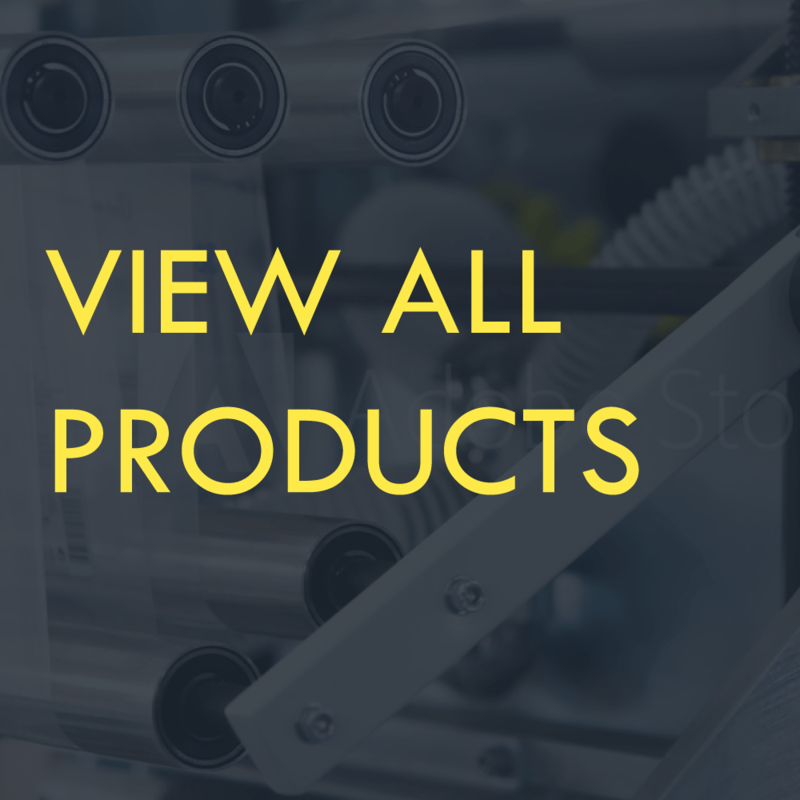 Perfect for pharmaceuticals, medical packaging, coffee bags, food service, retail, and for packages using vacuum bags and heavy duty bags and pouches. Small table top design and fully portable. No special operator training or tools needed. Easy to use and setup. Other configurations and models available. 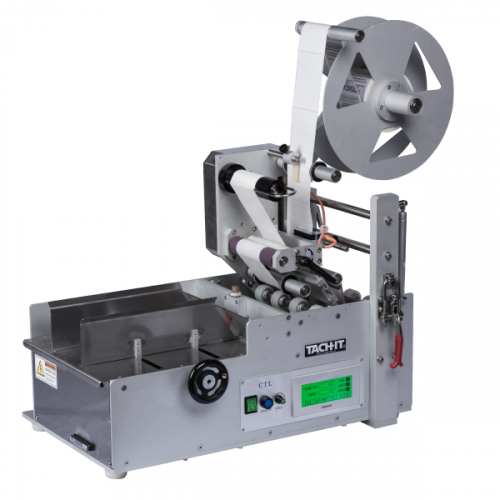 Tach-It BLM-110 Label Applicator for Heavy Bags and Pouches utilizes our wipe-on label technology to create a table top machine that will feed and label these products consistently and quickly. This unique machine has touch control with dwell timer for exact label placement and heavy duty construction for years of reliable service. The operator feeds the product to be labeled into the machine and the side conveyor will quickly feed these products through the unit. Perfect for pharmaceuticals, medical packaging, food service, retail and for packagers utilizing barrier bags, vacuum bags and heavy bags and pouches. 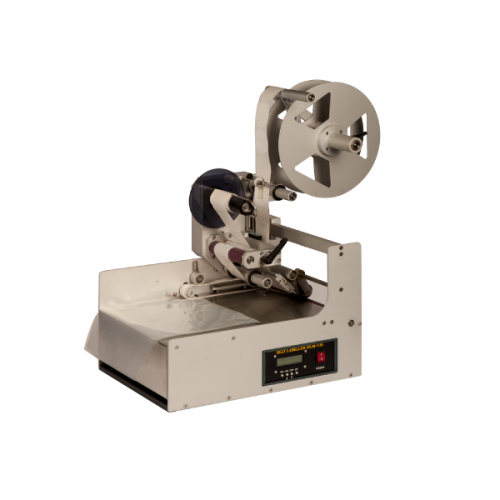 The BLM-110 can accept products up to 8 inch in width and 13 1/2 inch in length and labels up to 4 3/4 inches wide and 11 1/4 inches long.